At the core of every effective worksite wellness program are wellness activities that help employees adopt and maintain healthy behaviors. These activities are also known as wellness campaigns or wellness challenges. Behavior change campaigns usually last between two and six weeks while wellness challenges can happen in just one or two weeks. The names campaign or challenge are often used interchangeably. Campaigns can be team-based or they can allow participation as individuals. What makes campaigns important is the fact that they help employees create healthy lifestyle habits. Worksite wellness campaigns should be at the heart of every successful wellness program. When done correctly, worksite wellness campaigns help employees and their dependents improve employee health behaviors and reduce elevated health risks. 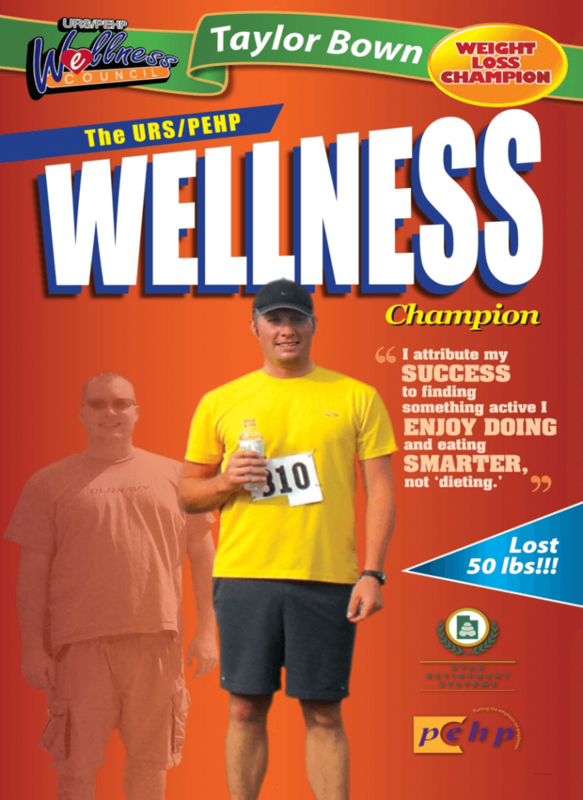 Wellness ccampaigns are perhaps the most important part of any effective wellness program. The Fast Food Guide campaign is designed to help employees make healthier fast food choices. Originally, it was designed to help truckers and utility workers improve their nutrition as they typically eat fast food almost every single day. You can read more about the fast food guide here. Before the campaign begins every employee is going to get either a printed or PDF copy of the guide or they can download the free app. There is a kickoff meeting or video that explains how the campaign works. In week one, every participant will watch a short introductory video explaining why it is important to eat healthy and to make healthy fast food selections. This is the portion of the campaign where employees discover why good health requires good nutrition. It also explains why it is so difficult to navigate the fast food landscape. In week two of the campaign employees are encouraged to use the fast food guide actually pick a healthy fast food. They use this tool actually purchase a healthy option. More importantly they also learn why some foods are and others are not healthy. Learn how to look for grams of saturated fat, trans fats and excessive sodium, while choosing whole grains, fruits and vegetables. In week four, they share their fast food guide with someone they care about. They can either give them the printed copy of the book or they can tell them where to download the app. The idea is to create social support by sharing the guide with others. Employees will report on how they did, and the campaign will end. Once it is known who has registered and completed the campaign, gift cards or small prizes are randomly awarded to a few of the employees who have finished everything. Not every participant gets the incentive. The incentives are a powerful part of the motivation to get employees to engage in the campaign to the first place. What is important to note is why the various components of this campaign are written and included the way they are. Effective worksite wellness campaigns are strategic. They are created based on solid behavior change science. The Fast Food Guide campaign, along with all the WellSteps campaign, are based on these exact same behavior change principles. They are the secret sauce of improving employee health. Every WellSteps campaign is based on the behavior change principles derived from the RE-AIM framework for sustainable behavior change. This behavior change model states that to have effective behavior change an intervention or campaign in this case, must have both reach and impact. The behavior change intervention must reach as many people as possible and it must impact their health behaviors. Here is one of the most popular blogs I’ve ever written. It is the complete guide to employee wellness program engagement. It is the model we use to get maximum reach for every campaign we offer. The best wellness campaign in the world are worthless if your program does not have reach. In addition to having very good reach, corporate wellness campaign must also have a significant impact. To create effective campaigns WellSteps uses the AMSO (Awareness, Motivation, Skills, and Opportunities) behavior change model. We changed the “O” in AMSO to include more than just opportunities. For us, this part of the model includes policy changes, environmental and social support. Rather than call this Opportunities, we just use the work “policy”. The AMSO model guides everything that we do. It includes the four components that are essential to every successful wellness campaign. We go to great lengths to verify that each of these four components is represented in every single campaign. Which one do you think is the most powerful and helping people adopt and maintain healthy behaviors? The most important part of the behavior change process is actually policy and environment. About 40% of the success of behavior change happens when we establish a supportive environment and when we receive peer support from others. The least important aspect of this model is awareness and education at just 5%, yet this is where most wellness programs spend most of their time and budgets. Let’s take a deeper look into each one of these components and how they are used to create effective employee wellness campaigns. In week one of the fast food guide campaign that I described above, participants learn about the importance of making healthy nutrition choices. The video and content in week one is the education and awareness component of this campaign. It is the first step in helping people down the road to successful behavior change. Every WellSteps campaign, including the Fast Food Guide Campaign shown above, uses incentives. These are small monetary or tangible rewards randomly given out to a selection of those employees who have completed all the steps of the campaigns. The incentive itself is really not the motivator, it is the hope of winning the incentive that motivates people to participate. Obviously some employees will win the incentive, but not all. This is enough to get them to engage. Having employees bring in food for a healthy potluck will expose employees to different ways of cooking healthier options. 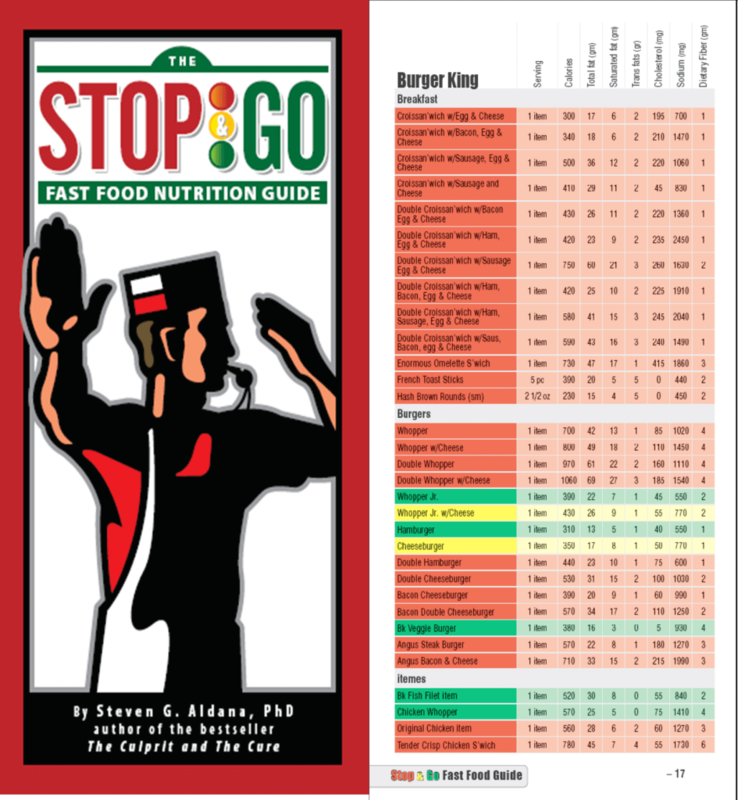 The Stop and Go Fast Food Nutrition Guide that is used in the Fast Food Guide Campaign is just a tool. It’s FREE to everyone with a mobile phone. This guide gives employees the tools and skills they need to navigate the fast food world and make the healthiest selections possible. There are lots of tools that are our disposal to help us eat right and exercise regularly. You don’t necessarily have to buy all the required tools for your employees but you do have to educate them about how the tools can be used and where they might find them. For example, employees who want to walk at lunch could use a map of the local walking trails and paths to help them find the right location and distance. A map of the local walking trails or paths is a tool that can help them accomplish their goal. All workplace wellness campaign should prove employees with the tools and skills they need to be successful. The Fast Food Guide Campaign teaches employees to follow certain rules regarding fast food purchases. They are encouraged to read the labels and not purchase any fast food that has trans fats. This is a form of policy that employees can follow. In week four of the Fast Food Guide Campaign employees are encouraged to share the guide with someone they care about. This social sharing cultivates strong social support. The AMSO behavior change model tells us that your employees will be way more successful when they have support and encouragement from others. Below I have re-labelled the Fast Food Guide Campaign to show exactly where it includes each component of the AMSO model. Each week of every campaign tries to focus on a different component. Successful campaigns use most if not all aspects of the AMSO model. Sometimes you have to get creative to get them all included, but the result is worth it. When employees participate in well designed campaigns, they adopt and maintain new behaviors. 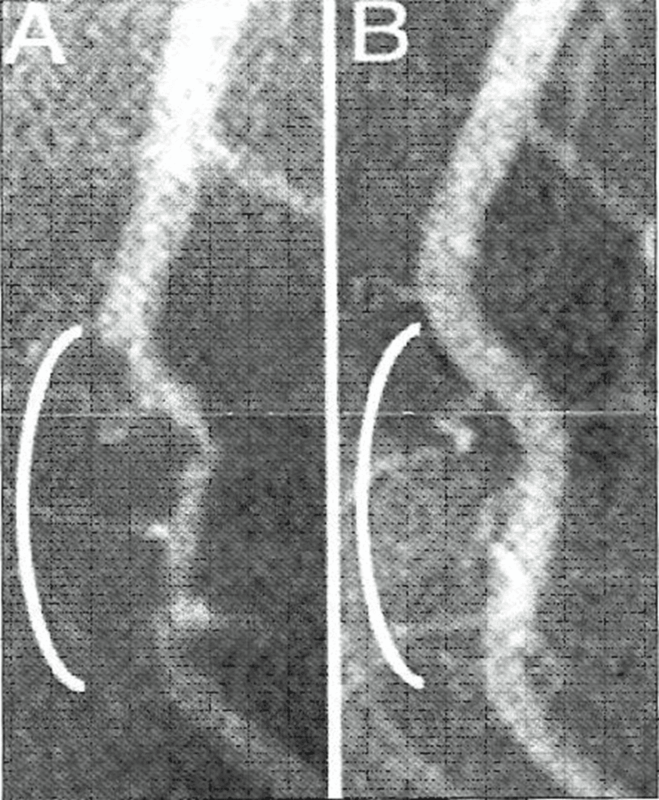 Employees get improved health and employers get healthier, more productive employees. We’ve been using this approach for many years and we have lots of published scientific studies that show our campaigns work. Here is a list of the campaigns and campaigns created by WellSteps. Even though they all focus on different health behaviors, every one of them uses the four components of this behavior change model. Each one has a component of education and awareness, motivation, a set of tools and skills, and policy or environmental supports that make behavior change possible. It is these four steps in the behavior change process that help the campaigns succeed. After 30 years in the wellness profession this is the best way I know how to create effective wellness campaigns and ultimately effective wellness programs.